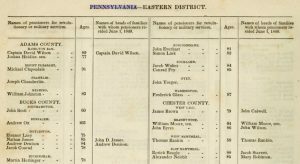 The US Federal June 1840 Census was 177 years ago but still can reveal was previous unknown family information. Besides the regular census with just the name of the head of household listed the census takers ago recorded any individual receiving Revolutionary War and other service pensions by their full name and age. The lists also named the head-of-household in which the individual was residing. So even if you were unsure if an ancestor who lived approximately from 1820s to 1840 would have gotten a pension in 1840, it is worth reviewing. The online site of ‘Internet Archive‘ has the book that was done up of the information found in 1840 by the census takers on pensioners. 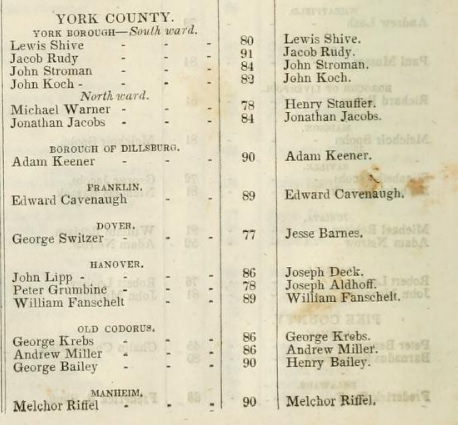 The book organized by states (there were 25 states, one district and 3 territories then), next select county names with individuals in that county getting pensions. Reminder, many counties changed their names or blended with another county in later years, so check county names as of 1840. Within the county will be the listing of veterans and their ages, plus a few had their rank listed, especially an officer. This book is also available with the online ‘New Horizons‘ having a list of the state you can click on. Follow through the counties and the veterans’ names and ages. The scanned book has 228 pages. It comes in different formats, but using PDF will work on most computers. You can also download a version – click the arrow for download next to the type of version selected. Go back to ‘Items details’ to view on the right side the list of other versions you can download to have the complete book. Once on a page, you can pull the bottom scroll to the right to see the states or an easy method is to place the state name in the upper right search box then it will find the state and list the pages. In the search box you can also place a surname, but unfortunately, it doesn’t always locate that surname, even if it is really in the book. Using a state then county is best. Click on one it is pointing at on the bottom and it will take you to the page. Use the enlarger (+) sign at the top to view. Big arrows on the bottom right allows you to advance a page or go back a page. Keep in mind the spelling in 1840 for a surname could have been different that you have found in more recent years. 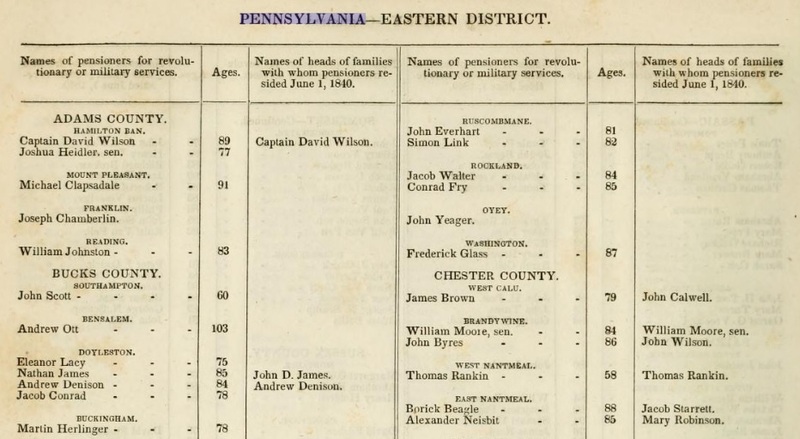 If you have the subscriptions to Ancestry.com or Findmypast, both of these have sites with the 1840 pensioners. With these sites, first is the page with the head of household and if one of individuals was getting a pension, will have ‘veteran’ written to the far right column. Then move to the back of that census page for the details on the veteran. You might find a veteran because they died before 1840, but do check any sons if they were old enough. 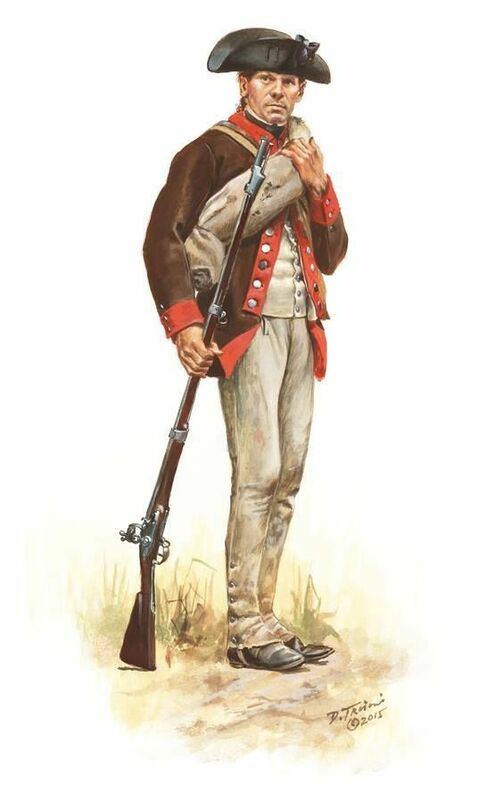 Most of these veterans in the records of 1840 would have served during the American Revolutionary War (1776-1783). 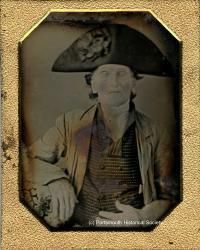 With that knowledge you can further research if the ancestor did indeed serve during the American Revolution and you might then want to become a member of the DAR (Daughters of the American Revolution) or SAR (Sons of the American Revolution). Not just a living veteran in 1840 would be listed but if he had already passed away, then his living widow would also be receiving his pension and now her name and age would be listed. 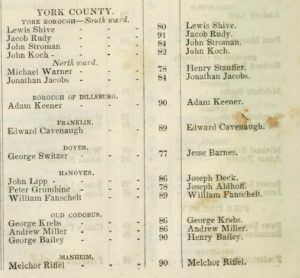 Photos: George Fishley, Revolutionary War Veteran; A soldier of the 12th Massachusetts Regiment in 1777; listing of 1840 veterans for York Co, PA and for Adams and Berks Co, PA.